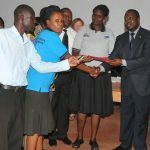 With the aim of increasing demand for human rights and access to services offered by government and other development agencies; the human rights advocacy component entails empowering PWDs, women and other vulnerable to advocate for their rightful inclusion in local government planning and service delivery. IDIWA made the first initiative to bring disability issues to the district agenda by engaging and influencing disability policy and legislation. 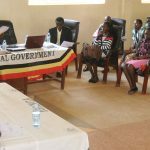 The biggest achievements under this component include influencing enactment of the “Local Government (Iganga District) (Persons with Disabilities) Ordinance, 2007 and its amendment in 2013 and the Iganga District Policy on Disability, 2013”. 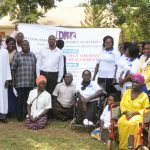 The purpose of the Ordinance is to provide protection, to eliminate discrimination and ensure equal rights to Persons with Disabilities in Iganga District, while the District Policy on Disability aims to facilitate achievement of district priorities and development of services for adults and children with disabilities. In conjunction with central government policy, the district policy sheds light on the rights of Women with Disability by analyzing the relevant disability instruments, supporting equality and accessibility as a coherent whole. As a result, IDIWA is increasingly witnessing support by Local Government leadership towards promoting rights of Women with Disabilities.